Sugar Maple, Acer saccharum, is the best source of maple sugar, and has been used as such since the days of early American settlement. Utilised by Native American Indians. Produces excellent cabinet and flooring timber. 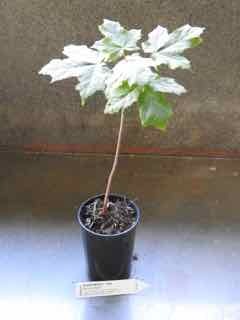 Sugar Maple is indigenous to North America and prefers rich soils of light texture in a protected shaded position. Frost resistant but drought tender. A deciduous tree growing to 40m x 10m. Numerous yellow flowers in spring. Be the first to review “Sugar Maple, plant” Click here to cancel reply.